AKLEG Recap: Session is finally over. Here’s what happened. After two years of deeply divided, unproductive and bitter legislating, the Alaska Legislature found its stride in the last week to bring a largely productive and smooth finish to the session. A long-await bill is scheduled for the floor, the capital budget is growing and multiple bills passed, including one that would bump an initiative off the general election ballot. 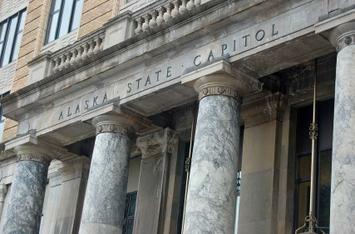 As if Tuesday wasn’t busy enough with the passage of a bill to restructure the Alaska Permanent Fund to pay for government, the Legislature also unveiled a big new crime bill while the Senate passed the capital budget and the initiative buster. Cocktails, log rolling, end-of-session and Medicaid work requirements. Here’s what happened and what to look forward to. The Senate took issue with the state’s quoted price on work requirements, the House is plugging away on oil tax credits, Bree’s Law appears on the radar and other bills pass. There’s still a chance for the distillery cocktail issue to be addressed. The House kicked the tires on the Senate’s capital budget and election considerations are coming into play.